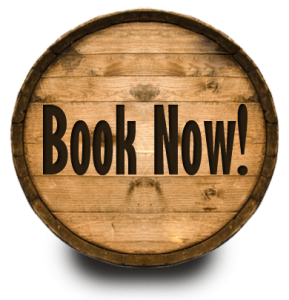 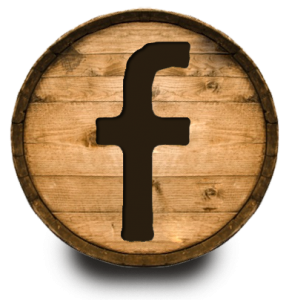 Email lisamarie@thehillhouseky.com or call 877-280-2300 for availability and reservations! 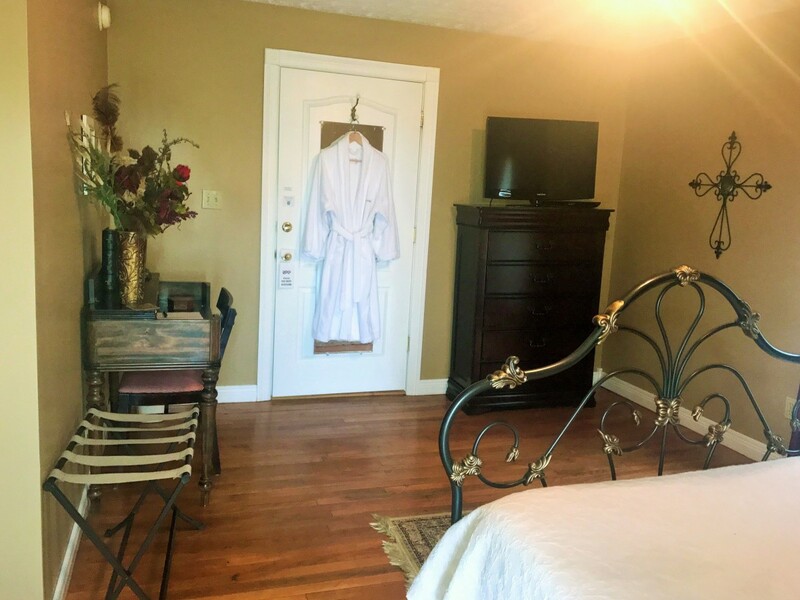 Our guests love The Thoroughbred Room for its spaciousness and convenience. 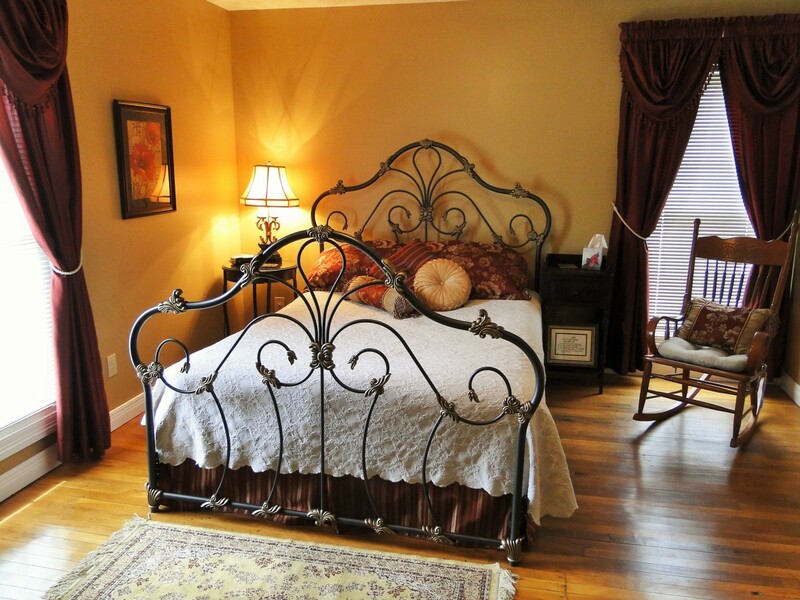 Located on the first floor, it is ideal for those who want to avoid the stairs. 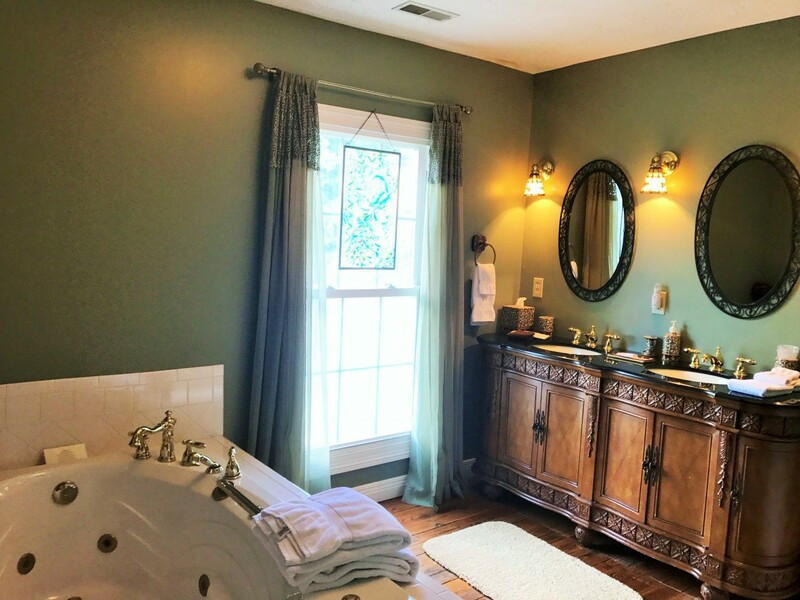 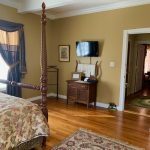 The room features high ceilings w/ crown molding, a queen-size 4-poster bed, private bath with whirlpool tub and dual shower-heads, an antique rocking chair, a walk-in closet, WiFi, central AC and flat-screen cable TV. 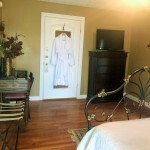 All rooms are equipped with blow dryers. 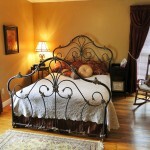 An air mattress is also available for an additional occupancy rate of $30.00. 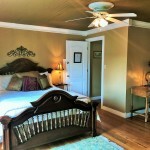 The Valentine Room with its vaulted ceiling and large picture window, will bring you back again and again. 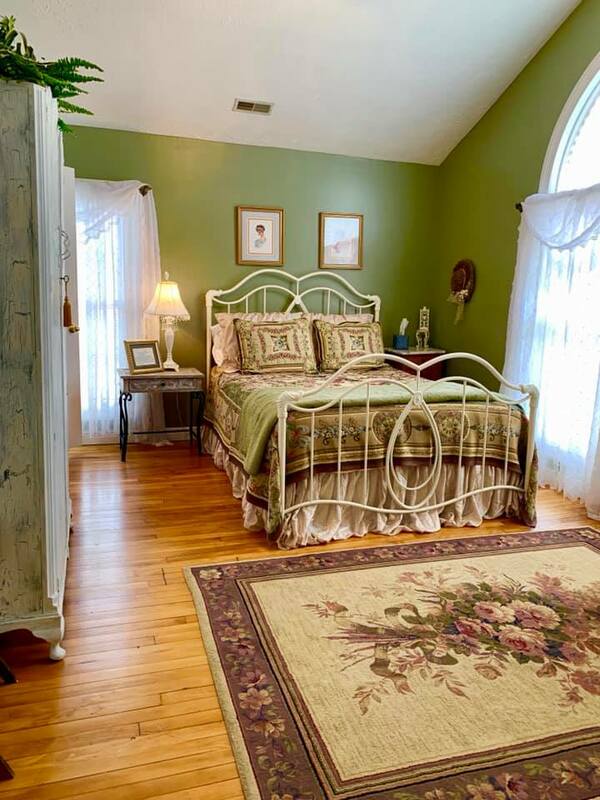 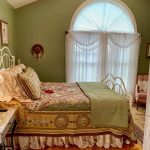 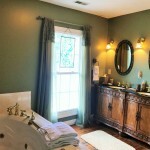 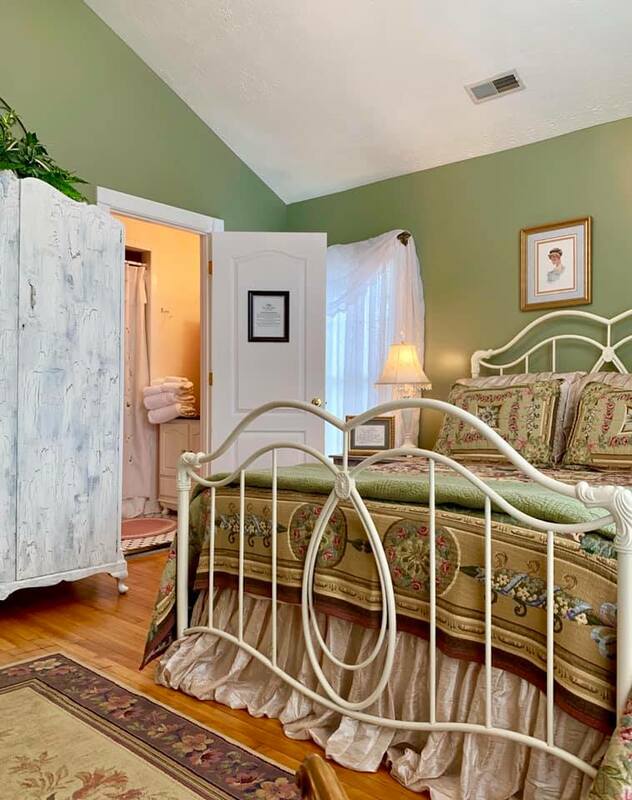 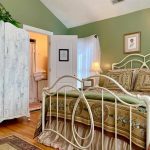 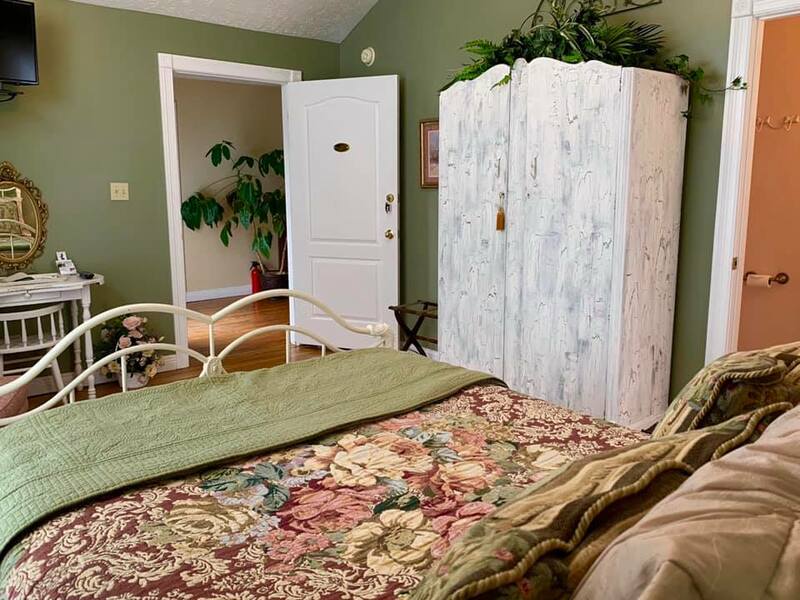 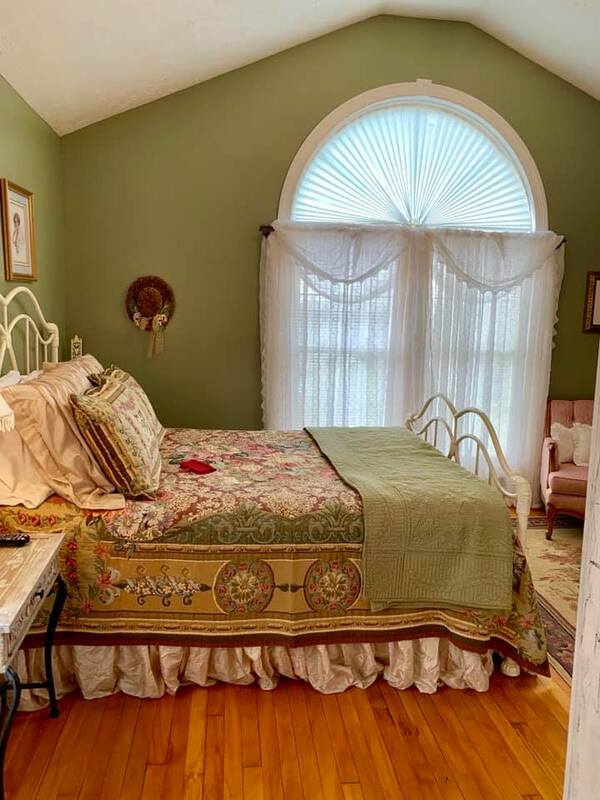 This beautifully-appointed guest room features a queen size bed, private bathroom with large shower, armoire, dressing table, antique chair, ceiling fan, WiFi, central AC, flat-screen cable TV and blow-dryer. 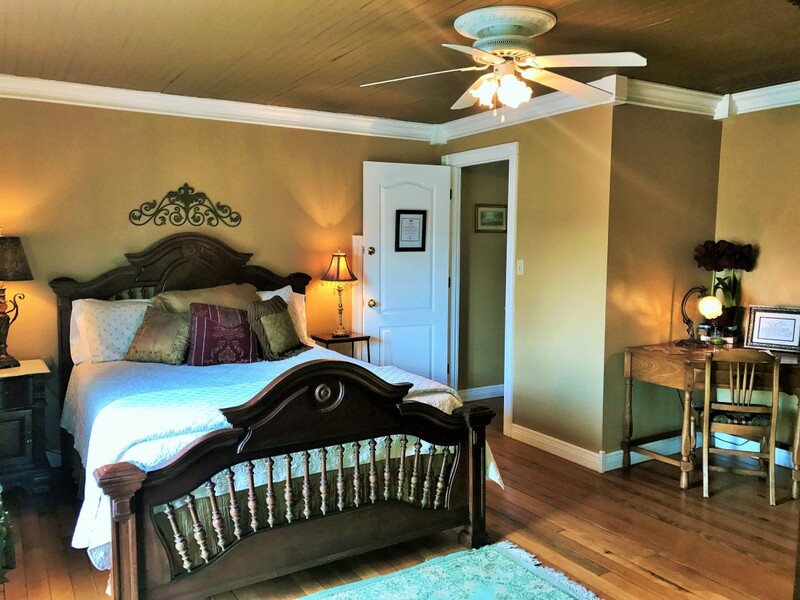 The first thing you will notice about The Oak Room is the original baton-board ceiling, giving it a warm and unique feeling. 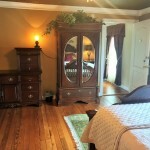 This is one of the largest room in our offering. 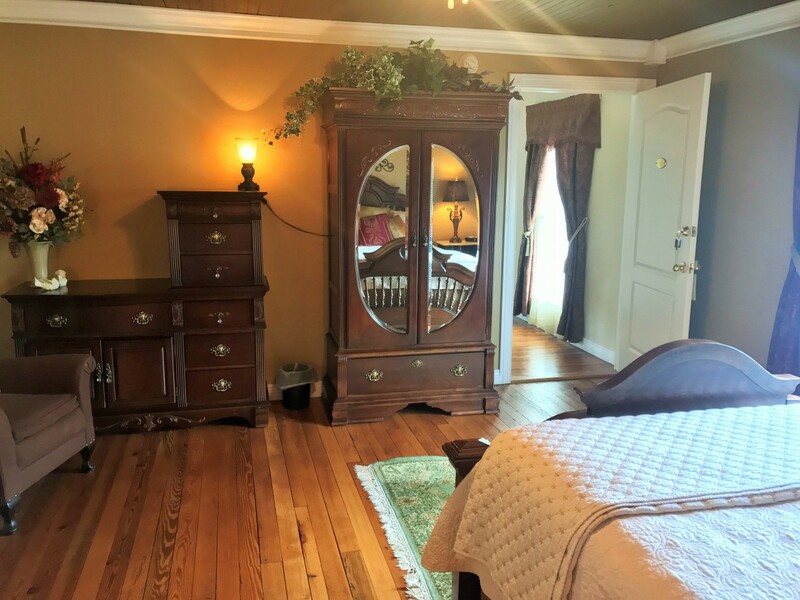 It’s amenities include a queen-size cherry bed with matching dresser and TV armoire, writing desk, lounge chair, large private bath with Jacuzzi tub and marble-top double sink vanity, ceiling fan, wireless internet, central AC, Flat screen cable TV and lots of storage. 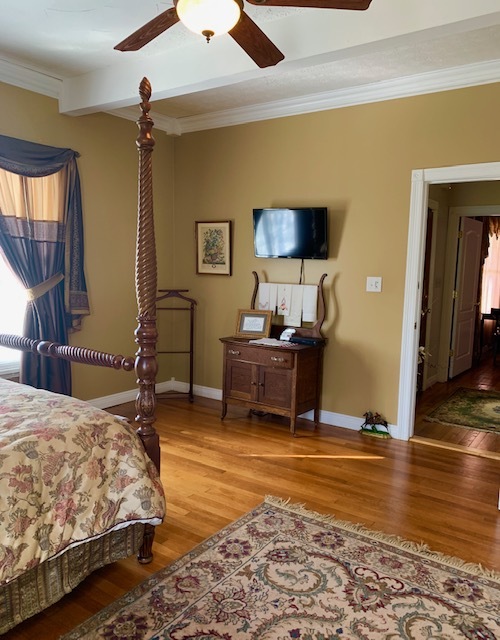 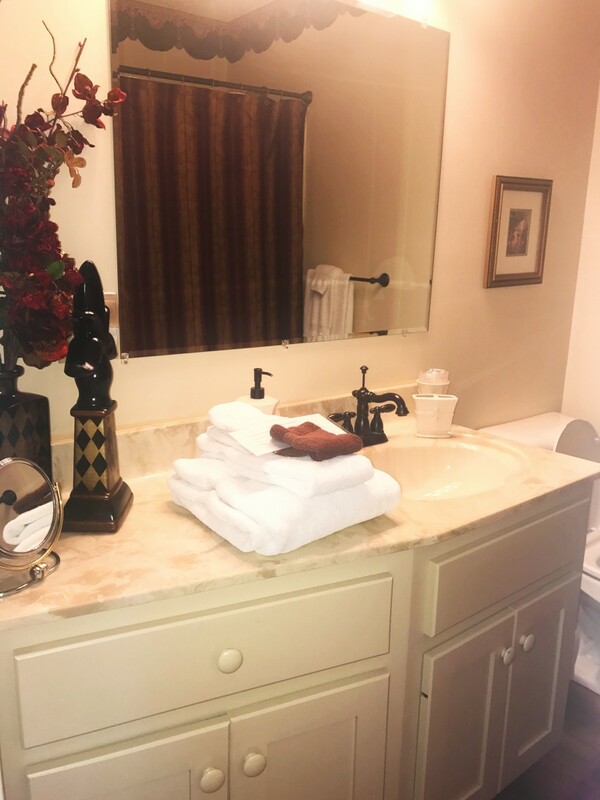 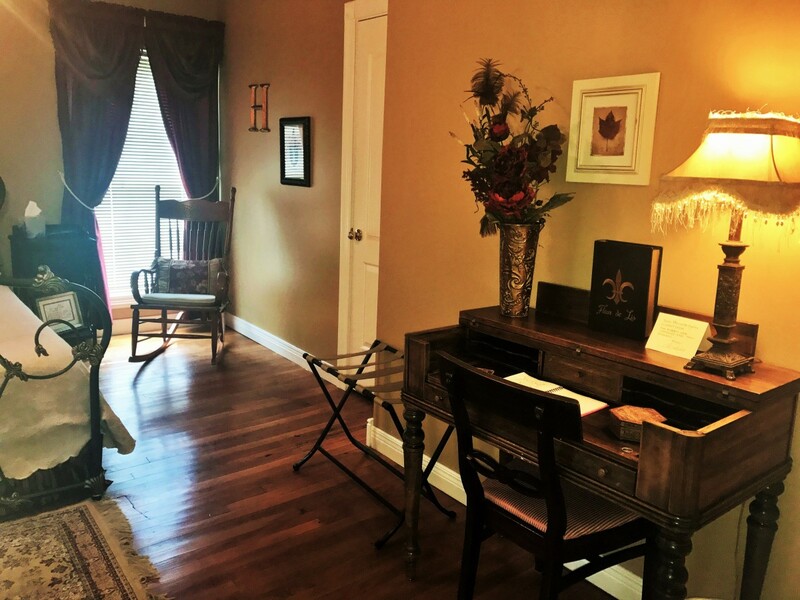 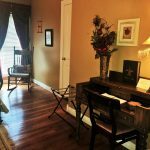 Located conveniently at the top of the stairs, The Hutchins Room has a beautiful iron bed and antique rocking chair, with easy access to full-size private bath, and the 2nd floor balcony. 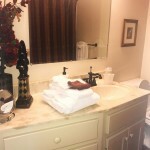 Because this bathroom is not en-suite, bath robes are provided. 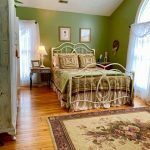 Features include a queen size bed, flat screen cable TV, antique writing desk, chest, ceiling fan, WiFi, central AC and blow-dryer. 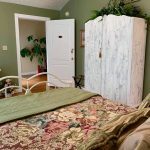 Let me know just what you are looking for and I will be in touch within 24 hours!